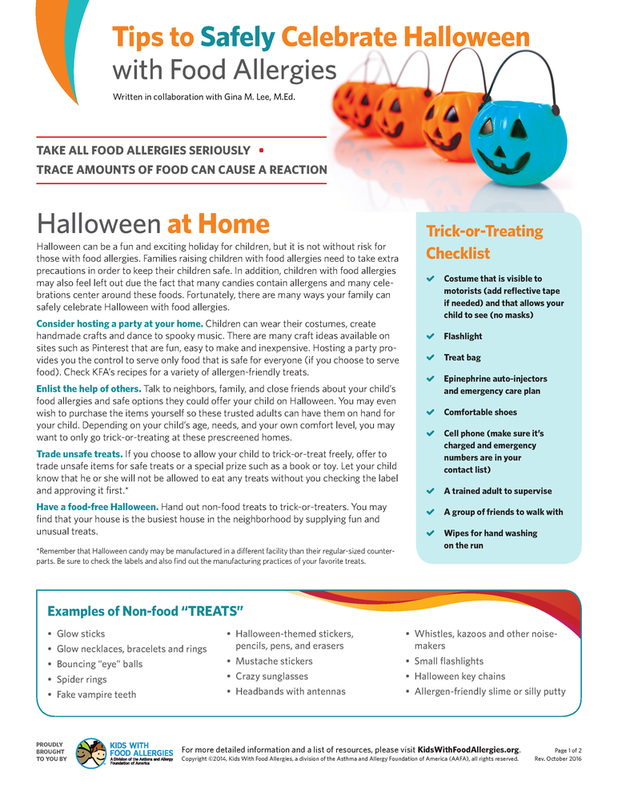 Halloween can be a fun and exciting holiday for children, but it is not without risk for those with food allergies. 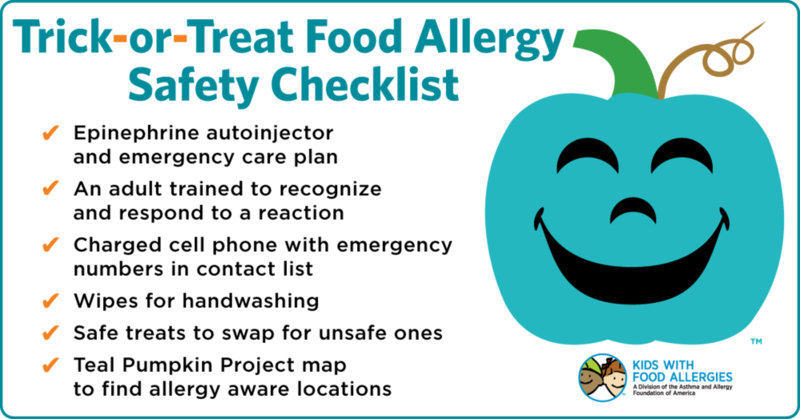 Families raising children with food allergies need to take extra precautions in order to keep their children safe. 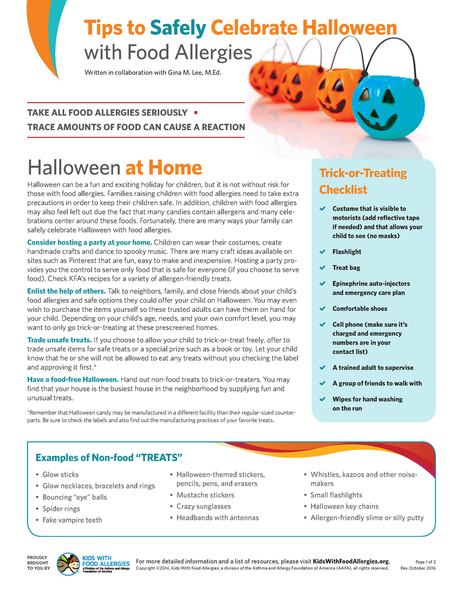 In addition, children with food allergies may also feel left out due the fact that many candies contain allergens and many celebrations center around these foods. 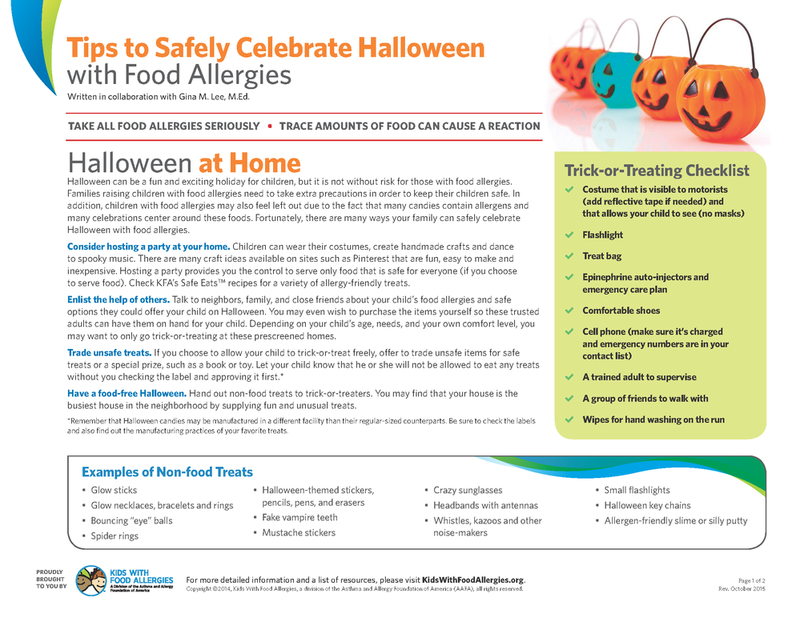 Fortunately, there are many ways your family can safely celebrate Halloween with food allergies, and for your children to safely celebrate at school. This tip sheet was written in collaboration with Gina M. Lee, education consultant. 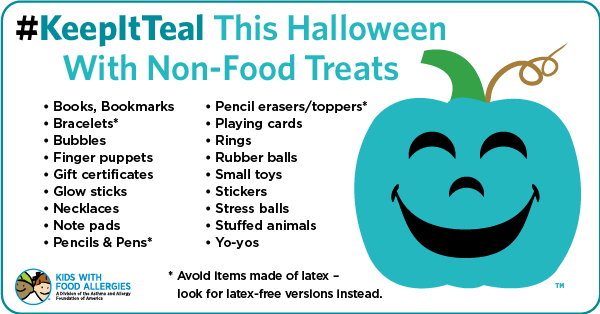 Share our non-food treats and trick-or-treats safety checklist.